Not only does it have fewer calories and less effect on blood sugar than sucrose, but it also has the added benefit of inhibiting the creation of acid in the mouth. This minimizes the damage done to your teeth, as well as allowing your teeth to heal (remineralize) at a faster rate. Xylitol also has a low glycemic index of 7, compared to sugar’s level of 83. It is recommended that you chew a piece of xylitol gum after every meal or snack for maximum benefit to your teeth as it may reduce the risk of decay in the tooth. 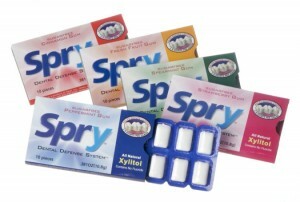 Xylitol is recommended by dentists, medical doctors, periodontists, pediatricians, and many health organizations and health professionals worldwide as a sweetener for anyone concerned with dental health, upper respiratory health, and sugar consumption, in general.